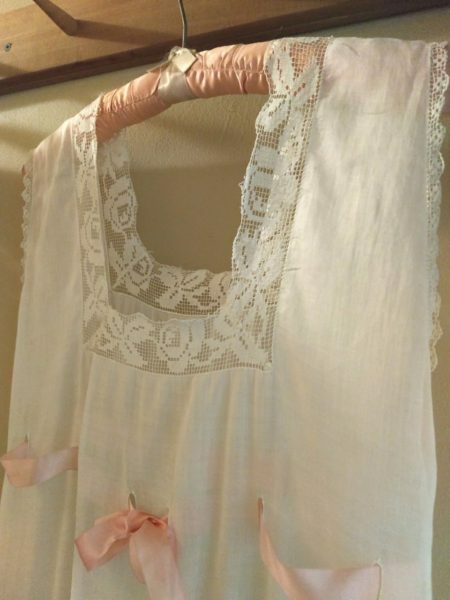 A lovely summer nightgown from the later Edwardian – 1920’s era. Made of white cotton fine batiste fabric, the gown features a square neck line, edged in machine darn net lace. A pretty rose and leaves design. The sleeveless opening is edged in a narrow lace. It is an empire style with laced ribbon under the bust line. The pink ribbon is a silk or rayon silk.